17.04.2013 I am going to drive GP2 in Bahrain this weekend for Hilmer Motorsport! Bahrain, also called the land of Pearls. It is located in the Persian Gulf close to Qatar, Abu Dhabi and Dubai. Like their neighbors, Bahrain is an oil country. They have also in the latest years built up their country in a very ambitious fashion, with spectacular buildings, artificial islands in the sea and tourist attrations. Bahrain is considered the financial center in the Arabian world. And similar to Dubai, they convert their oil income into tourism income. 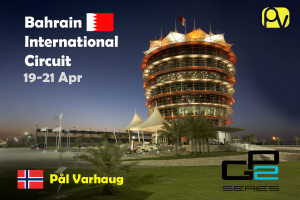 What better investment is there to get high tourist attention, and to put Bahrain on the map, than to build a high quality Formula One Circuit, and host Formula One and GP2 races? Bahrain International Circuit was opened in 2004. In 2007 it became the first circuit to be awarded the FIA Institute Centre of Excellence award, given for excellent safety, race marshal, and medical facilities, and for the high standards of technology required to maintain these. It is a beautiful track, and is now painted with iconic decoration. The track is known to be sandy sometimes, which can be challenging on the tires. In 2011, I was going to drive in Bahrain in GP2, but the race was cancelled in the last minute, caused by large demonstrations, chaos, and violence in the streets, unsuitable for a Formula One and GP2 arrangement. There were a few problems with this, also in 2012. I hope there will be little problems this time. 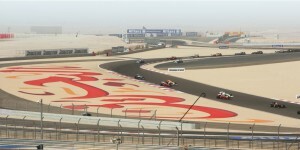 The Bahrain International Circuit looks very cool, and I really want to drive on it. I will race for Hilmer Motorsport in Bahrain, like in Kuala Lumpur. I am looking forward to it. I will get a new team mate this time, 2012 Formula Renault 3,5 champion, Robin Frijns.